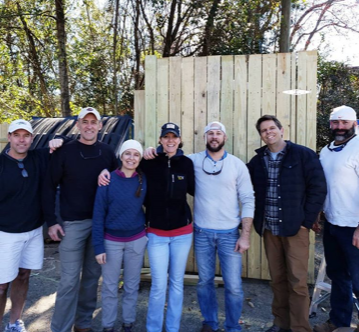 Perfect weather, a fun project, and a really great cause = a great day of giving back with friends! 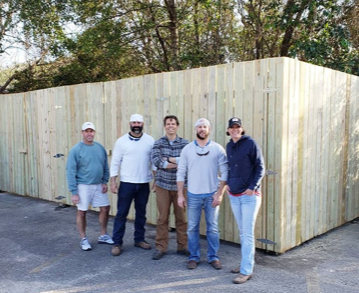 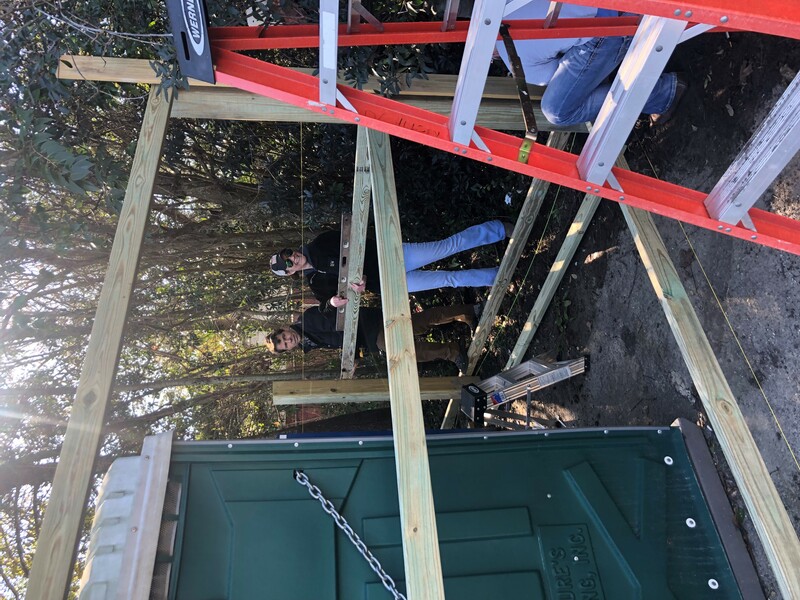 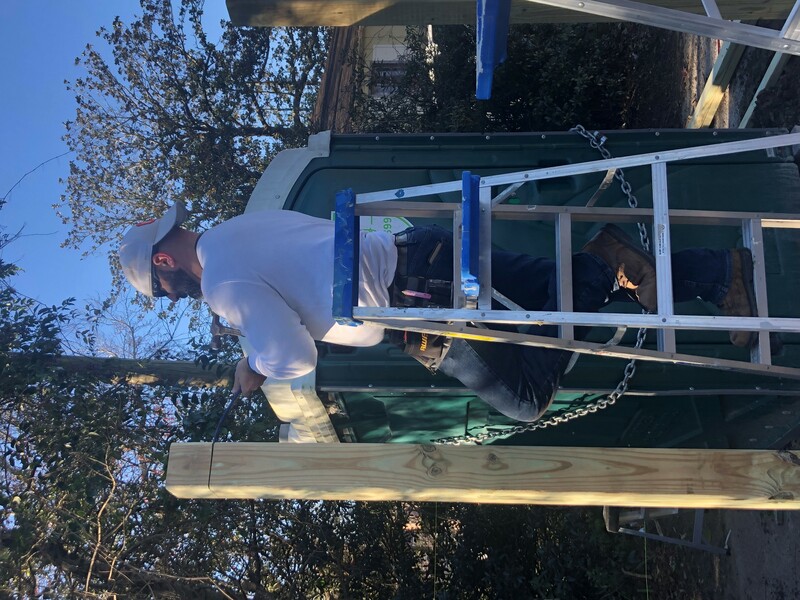 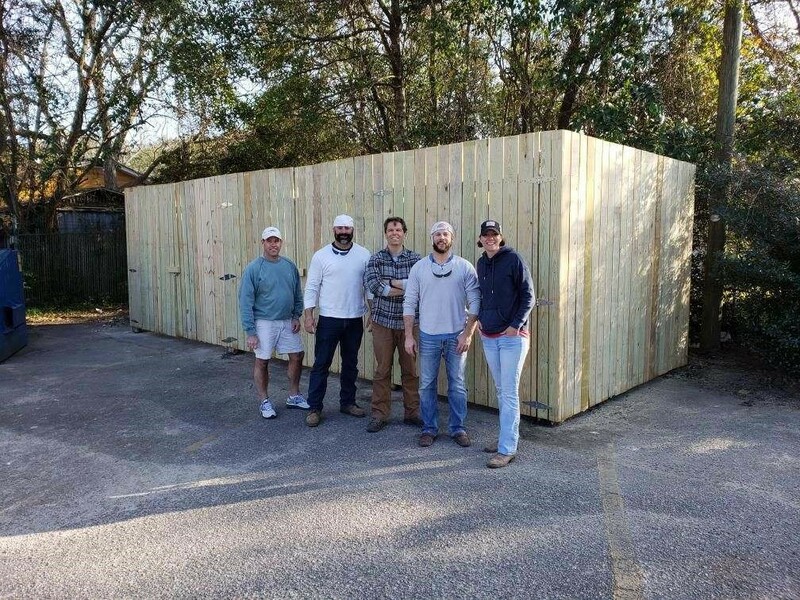 We had the privilege of partnering with Southern Lumber on this Saturday project – thanks SL for donating all of our materials for the project! 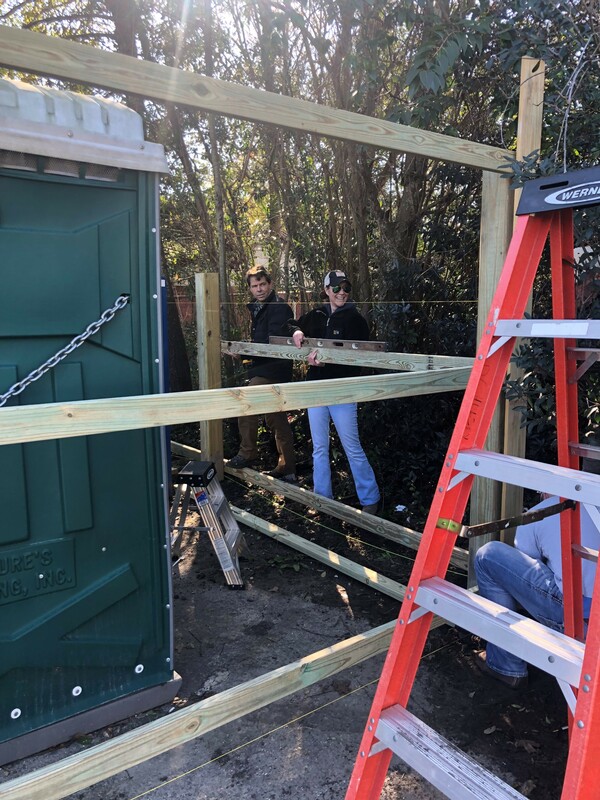 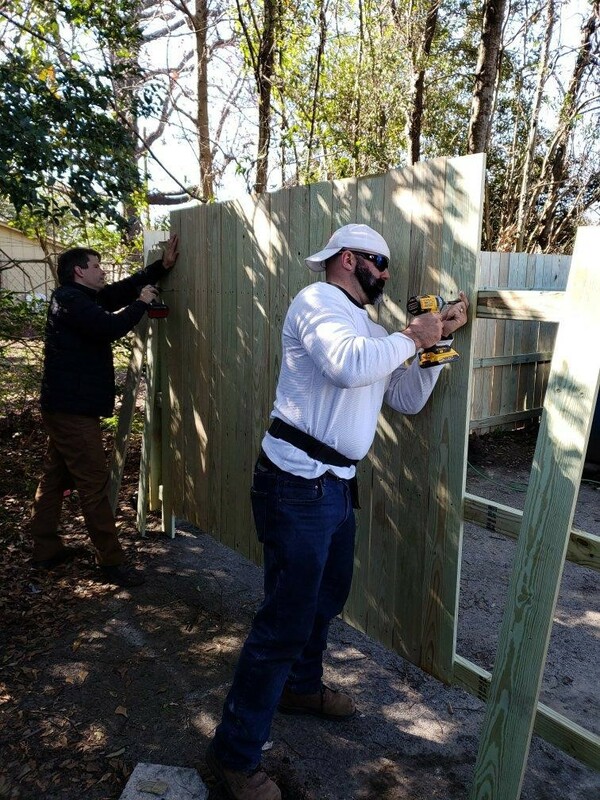 Thanks to employees of Structures Building Company and our sister company, SBC Home, we were able to build a fence for Tricounty Family Ministries. 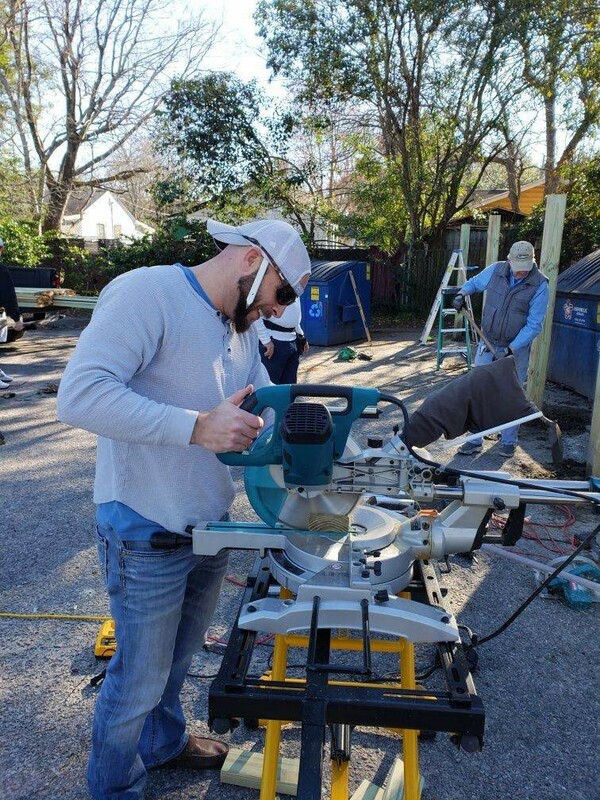 Definitely feels good to give back!